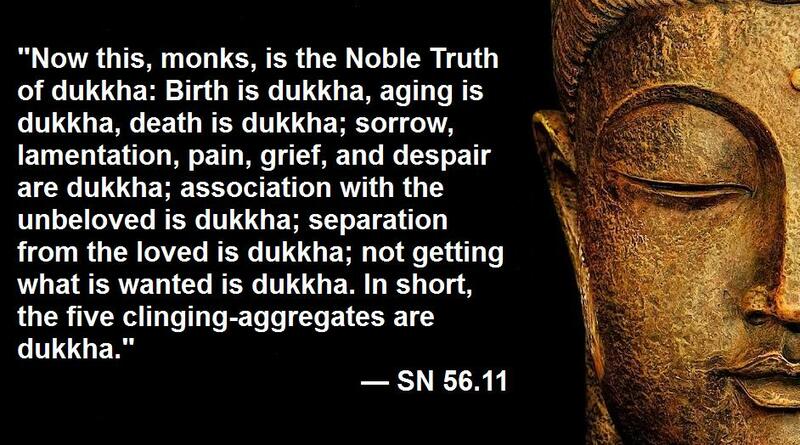 18 Oct 2018 – The Buddha was said to have predicted the day he would die. When that day approached, his followers, weeping, asked him to stay with them. “I’ve told you that life is about suffering,” he reminded them, “would you have me continue suffering?” With that, his followers let go and allowed their beloved teacher to die in peace. A thousand years after the Buddha’s death, a monk known as Bodhidharma is said to have brought a version of the Buddha’s philosophy from India to China, where it became known as Ch-an. There is no scientific evidence that Bodhidharma ever existed, but I believe he did, the evidence being the existence of Ch-an, which spread to Korea as Sen, and later to Japan as Zen. Bodhidharma emphasized the Buddhist opposition to what they call the three poisons—hatred, greed and delusion—defining in three words everything which holds mankind back from constructing a heaven on earth. Understanding this enables adherents to define the causes of suffering and address them. The Buddha had set out as a young man to discover the cause of suffering, and how to end it. Decades of failed attempts did not deter him. He tried to bring about suffering on himself, but told followers this did not work. Finally, he discovered that intense meditation was the answer to that which he was seeking. Buddhism is said to have a hundred-thousand sects, but Bodhidharma’s philosophy is one of “Northern School” Buddhism, or “Mahayana” Buddhism, and is about living one’s life to make a better world by opposing hatred, greed and delusion with the goal of ending the suffering of others. The Buddha was said to have laughed when a follower asked him if he were a god or prophet come to teach them, admitting only that “I am awake.” His Mahayana followers believe he was an enlightened person, with no supernatural powers. The Buddha said that anyone may become so enlightened, primarily through deep meditation, in which one comes in contact with the inherent wisdom of the universe. Within this philosophy of opposing hatred, greed and delusion to perfect one’s world, there is a teaching that all of us have a role to play should we become aware (the first spark of enlightenment). The belief is that if one meditates long enough, one will discover that role. There is no perfect purpose, nor one better than another, so one person realizes a need to feed the hungry, another furthering the cause of world peace—there are countless ways to relieve suffering in the world. In this philosophy one recognizes that we are here to make a better world in some way, not to accumulate wealth, or power, or fame, which are seen as delusions by Buddhists. And so it is that we live in a world where there are thousands of heroes who go unrecognized, driven by a need to make this world a better place. Many may be unaware that they are practicing this engaged form of Zen. They are in the shadows, away from the spotlight of mainstream media. Much of what they do is anathema to the teachings of the establishment. War, for example, is glorified by the establishment’s mainstream media, because the powers behind mainstream media—its owners, board members and advertisers—make a lot of money from war (through their expanded financial portfolios), and wealth is all that concerns our ruling plutocrats. Guests invited on the cable news networks to discuss wars are often retired generals, many of them on the boards of “defense” companies which profit from war. One does not see peace activists giving the other side, only one side is allowed on all of the TV networks, the side promoting war, guiding the beliefs of the masses. Watching cable news channels for months one is not likely to see a story about world hunger, a daily problem around the globe. The hungry do not buy products, so are of no interest to the TV “news” networks, existing as they do to profit from the sale of products. There is a massive amount of work to do in easing suffering that lies outside of mainstream media’s viewpoint. In my meditation classes I finish my basic course with a discussion about “engaged meditation,” said by many meditation masters of the East to be the highest form of meditation. One meditates on one’s chosen role, sometimes for months, until one discovers one’s chosen role in contributing toward making a better world—free of hatred, greed and delusion. One student asked me if her work at a battered women’s shelter was a good choice. I replied, of course, if that is what you need to do. Another asked if working at an animal shelter was worthwhile, it seemed to her that it might somehow be a lesser cause than working to end human rights or some of the other causes. I replied that of course it is a worthy cause—anything that eases suffering in the world. We live in a laissez faire capitalist empire in which hatred, greed and delusion are emphasized as ideals. One is told by one’s TV news to hate the Russians, Chinese, Iranians, Venezuelans and North Koreans. One is told that to be successful, all that matters is that one acquires large sums of money at any cost to the public interest. One is told that one’s taxes should go to supporting a worldwide empire which serves the plutocrats against the interests of the masses. The Buddha would have laughed at all of this, pointing out that following the messages of the mainstream press is delusional. Instead, he would tell you that you have a purpose, and you can find it by meditating deeply on what your role should be in making a better world. Imagine the world we could have if more people did this, united in making a civilization dedicated to ending suffering.